Igarashi T, Ashida H, Morikawa K, et al. Evaluating the malignant potential of intraductal papillary mucinous neoplasms of the pancreas: added value of non-enhanced endoscopic ultrasound to supplement non-enhanced magnetic resonance imaging. Polish Journal of Radiology. 2018;83:426-436. doi:10.5114/pjr.2018.79617. Igarashi, Takao, Hirokazu Ashida, Kazuhiko Morikawa, Keitaro Enoki, Kazuyoshi Ohki, Gou Kawakami, and Hiroya Ojiri. 2018. "Evaluating the malignant potential of intraductal papillary mucinous neoplasms of the pancreas: added value of non-enhanced endoscopic ultrasound to supplement non-enhanced magnetic resonance imaging". Polish Journal of Radiology 83: 426-436. doi:10.5114/pjr.2018.79617. Igarashi, Takao et al. "Evaluating the malignant potential of intraductal papillary mucinous neoplasms of the pancreas: added value of non-enhanced endoscopic ultrasound to supplement non-enhanced magnetic resonance imaging." Polish Journal of Radiology, vol. 83, 2018, pp. 426-436. doi:10.5114/pjr.2018.79617. Igarashi T, Ashida H, Morikawa K, Enoki K, Ohki K, Kawakami G et al. Evaluating the malignant potential of intraductal papillary mucinous neoplasms of the pancreas: added value of non-enhanced endoscopic ultrasound to supplement non-enhanced magnetic resonance imaging. Polish Journal of Radiology. 2018;83:426-436. doi:10.5114/pjr.2018.79617. To evaluate the diagnostic performance of combining non-enhanced magnetic resonance imaging (MRI) and non-enhanced endoscopic ultrasonography (EUS) for assessing the malignant potential of lesions in patients with intraductal papillary mucinous neoplasms of the pancreas (IPMNs). Data from 38 patients histopathologically diagnosed with IPMN adenomas or IPMN adenocarcinomas were retrospectively analysed. Preliminary univariate and multivariate analyses were conducted to identify statistically significant associations. 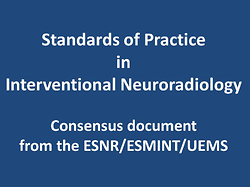 Three blinded radiologists evaluated the image sets to assess the diagnostic performance of combined use of non-enhanced MRI and EUS as opposed to non-enhanced MRI alone in distinguishing malignant from benign lesions. Observer performance and interobserver variability were determined using receiver-operating-characteristic curve analysis and weighted κ statistics. Multivariate analyses identified a significant difference between the abrupt change in the main pancreatic duct (MPD) calibre with distal pancreatic atrophy and the signal intensity of lesion-to-spinal cord ratio on MRI; a significant difference was observed in MPD size on EUS. Diagnostic performance assessments of the image sets did not differ significantly between the blinded radiologists. The clinical utility of non-enhanced EUS may be attributive in evaluating IPMN that has already been evaluated by non-enhanced MRI.